You know you've done it. You've made an impulse buy. Maybe something looked like a good deal at the time. Maybe it was on sale. Maybe it had an eye-catching package, or was within easy reach. Or maybe you simply felt like it at the time. Whatever the reason, don't feel bad about it. We've all done it, and most likely not for the reasons you think. Chances are, many of your purchases are influenced in some way by consumer psychology. Consumer psychology is a specialized branch of social psychology, and it is the study of consumers and their behavior. This includes their wants and needs, as well as what influences their purchasing habits. There are a number of things that might influence what a consumer purchases, such as how a product is packaged, how much it costs, or how easily accessible it is. 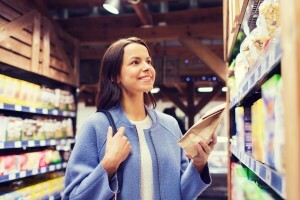 Even a consumer's mood might have an influence on some of the products that they purchase. Businesses will often use consumer psychology to make consumers more willing to buy certain products or services. The results of consumer psychology research, for instance, can help these businesses present their products or services in a more appealing light, which may make consumers more likely to part with their hard earned money. This can include little details, like packaging, shelf placement, and advertising. The roots of consumer psychology began back in the 1940's, with a psychologist named John Watson. It was Watson that first used consumers' emotions to help sell products. Following his advice, Johnson and Johnson's created baby powder ads that played on a mother's attachment to about her baby. What Are the Education Requirements to Become a Consumer Psychologist? Consumer psychology careers typically start with four year undergraduate degrees in psychology. While earning these degrees, students will often take several psychology courses, along with statistics courses. Those interested in consumer psychology as a career should also take courses in business, marketing, consumer trends, and economics. Some consumer psychologists might find that they are able to secure entry level positions with the right education. In order to open more doors and further their careers, however, many consumer psychologists should consider earning graduate degrees as well, like Master's degrees and Doctorate degrees. What Does a Consumer Psychologist Do? A consumer psychologist’s main duty is to get inside the mind of the consumer. This specialize field of psychology mainly involves studying and researching consumer behavior, and what influences their purchases. Research may be conducted a few different ways, such as through focus groups and surveys. Some consumer psychologists might even observe consumers while they are in a store. The results of the research done by consumer psychologists are then often compiled into reports. Many consumer psychology careers also involve finding ways to get consumers to spend or buy more. Where Does a Consumer Psychologist Work? A consumer psychologist might work as a self-employed consultant or a full time employee. These professionals might work for advertising and marketing agencies, or for businesses and corporations. Government agencies and universities might also hire consumer psychologists as well. What Is the Average Salary of a Consumer Psychologist? According to the Bureau of Labor Statistics, the average annual salary for a traditional psychologist was $86,510 in 2010. Consumer psychologists, on the other hand, may make more or less than this, depending on a number of factors. Professionals with advanced degrees will often be able to command much higher salaries, for instance, as will more talented and experienced consumer psychologists. The location of a consumer psychologist might also have an influence on his salary as well. In general, these professionals will be able to make more money in more densely populated areas. John Watson is often considered to be the first consumer psychologist, since he was the first person to come up with the idea that the emotions of consumers may influence what they purchase. Kurt Lewin helped influence consumers to eat more organ meats, like liver and kidneys, that were plentiful during World War II. I Majored in Psychology - Now What?